I have been seeing plenty of custom printed shirts with really adorable quotes about tacos. Obviously, there seems to be a universal love and appreciation for how delicious tacos are, and paleo tacos are the way to go. 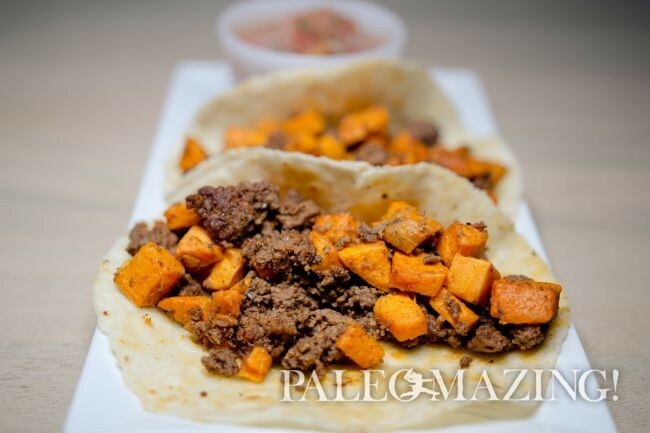 These Paleo Tacos with beef chorizo and sweet potato or camote (Spanish for sweet potato) is yet another great recipe from the Garza family. By using Siete’s delicious paleo tortillas you will be so happy to be eating very flavorful paleo tacos that taste like the real deal. No need to lettuce wrap everything and imagine it with a fluffy tortilla anymore. I especially like their idea of the added “camote” in this recipe. Sweet potatoes are a great healthy starch and are so flavorful. I like their texture alongside the ground beef and it keeps me full longer. This beef chorizo con camote (sweet potato) taco recipe is another great recipe from the Garza family. I especially like the idea of the added “camote” in this recipe. 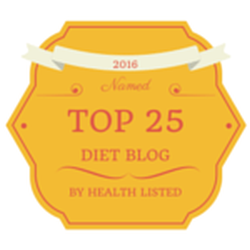 Sweet potatoes are a great healthy starch and are so flavorful. I like their texture along side the chorizo and it keeps me full longer. Heat oil or lard in a medium size skillet. Place the cubed sweet potatoes in the heated oil or lard and fry until browned. and tender. Remove cooked sweet potatoes from skillet and sprinkle with ½ teaspoon of salt then set aside. Place the ground beef, ½ teaspoon of salt, the cumin, garlic powder, and onion powder in a large skillet and cook until well done. Add chili powder and apple cider vinegar to the cooked beef and simmer for 3-4 minutes on medium heat, stirring frequently. Add the potatoes to the skillet and simmer for 2-3 minutes on low heat. Serve with warmed paleo friendly Siete tortillas.